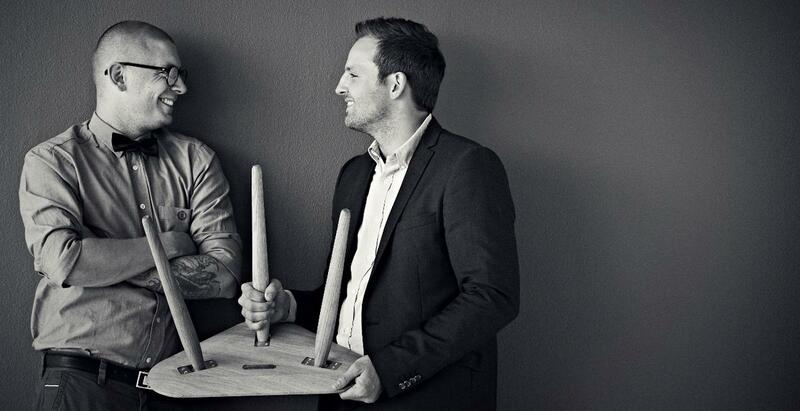 The Danish furniture company Bruunmunch was founded in 2008 by the childhood friends Henrik Bruun and Jacob Munch from Esbjerg. Presenting a portfolio of objects which can be defined as quality, care and love for wood, a triumvirate perfectly demonstrated for, by example, the wooden table PLAYdinner Lamé, which is made of exquisite wood by skilled, Danish handworkers. In 2015, Bruunmunch joined forces with the Danish upholstered furniture specialist Versus, and is thus now able to offer a select collection of upholstered furniture. Many Bruunmunch designs are influenced by the classic Scandinavian design of the 1950s and 1960s, albeit adapted to the demands of contemporary living and lifestyles. All Bruunmunch tables and chairs are produced in Denmark, with all other Bruunmunch items in the company's portfolio being handmade in the EU. smow sells exclusively originals from licensed manufacturers and is an official Bruunmunch trading partner.